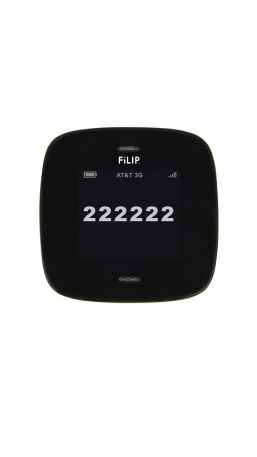 Where do I find the activation code of my FiLIP? 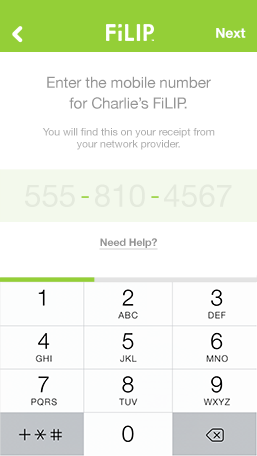 Prior to starting the set up and registration process, charge then turn your FiLIP on by pressing the red button. 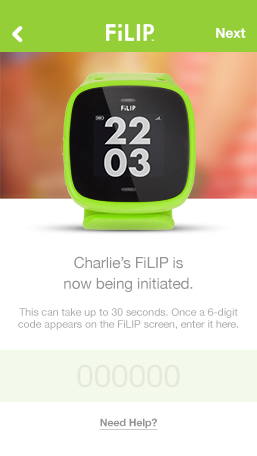 Once you input the 10 digit mobile number of the FiLIP into the app during the registration process, activation code will appear on your FiLIP screen. STEP 1: Enter your 10-digit FiLIP phone # when prompted. STEP 3: Enter that 6-digit activation code into your app.